Time to drop the boom on this LaLD Engine Week. 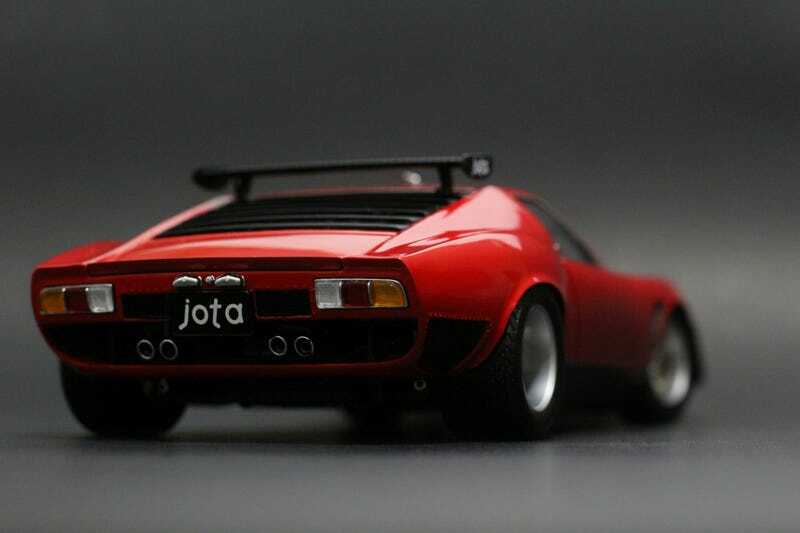 This is the Kyosho Lamborghini Miura Jota SVR, from their Gorgeous Collection. Yes, its another model that I’ve previously shown, but that was way back when and I was only using an oooold iPhone in my tiny cabinet photo booth. What better time to bring this out again than Engine Week. Know why? Twelve cylinders of Italian beauty, mounted transversely. If you don’t know the story of the Jota SVR, I’ll tell it to you real quick. Bob Wallace, Lamborghini’s test driver back in the 70's, wanted to build a race car out of the Miura. So he did, on his own time and with the company’s tools. It was an engineering marvel that unfortunately never saw time on the track before it met a fiery fate in the hands of a mechanic on a test drive. Some other Miura’s were converted by their owners to a similar spec, dubbed the SVJ’s. I’m glad I dug this one out of the closet, it deserves to be on my shelf full time.